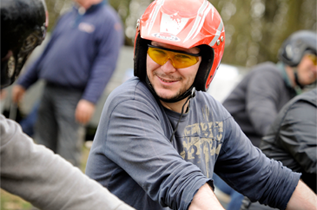 This activity is for individuals who have got some quad biking experience. 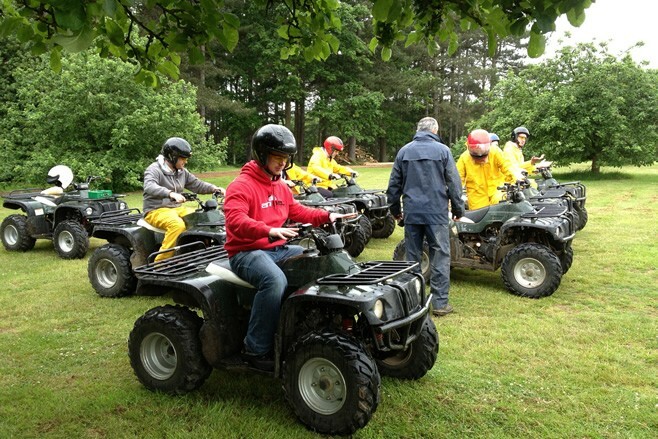 Everyone is given their own quad bike for the session which starts with our instructors taking you through a short safety briefing and a run through the obstacle course. 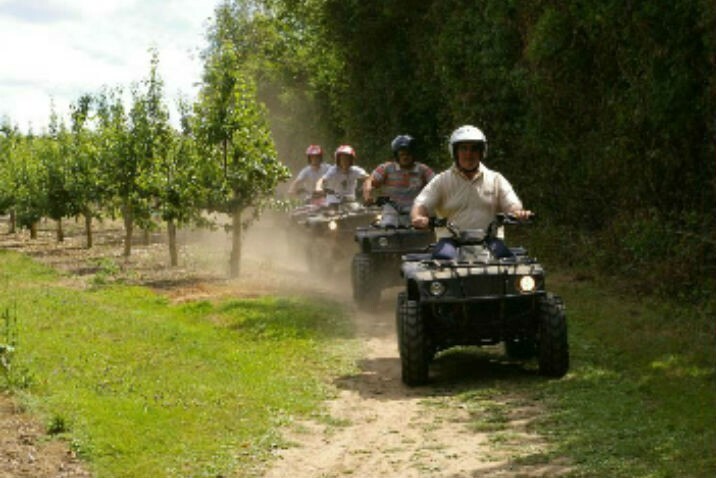 Once your ability has been assessed you will set off on a quad safari around 200 acres of woods, orchards and open fields. You will also venture into the 4 x 4 off-road driving area where we will take you up and down some of the slopes. 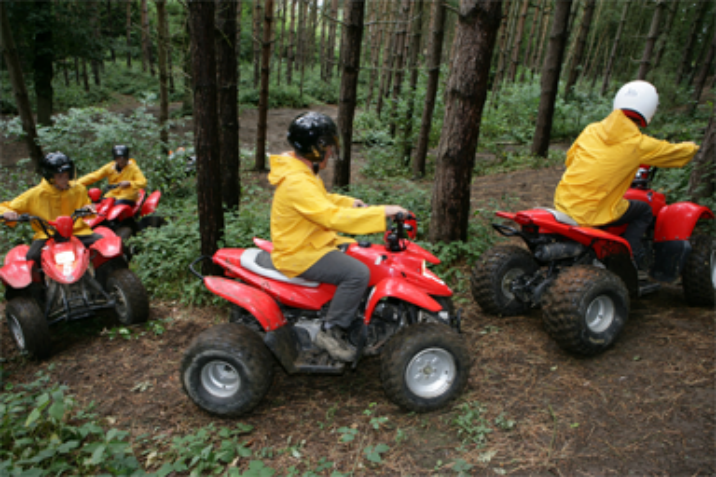 With this activity you will get approximately 55 minutes actual riding time, including a 45 minute safari. 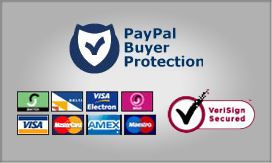 Restrictions: Minimum age is 16 years old. Max weight is 20 stone. If you are extraordinarily tall or short, or feel your physique may impair your enjoyment of this activity in any way, please check with the centre when booking. Duration: Please allow 1.5 hours for this experience and arrive 15 minutes before your start time.